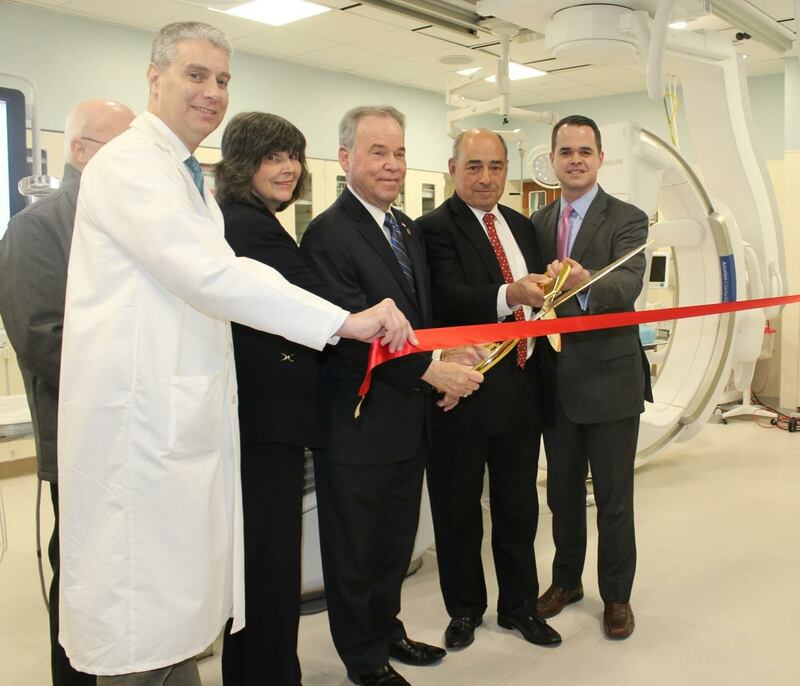 Cutting the ribbon for the new advanced imaging technology equipment are (l-r): Scott Luchs, MD, Director of Radiology, Good Samaritan Hospital; Frank Hagen, Trustee of the Village of Suffern; Mary Leahy, MD, CEO of Bon Secours Charity Health System; Rockland County Executive Ed Day; Michael Israel, President and CEO of Westchester Medical Center Health Network (WMCHealth); and Sen. David Carlucci. 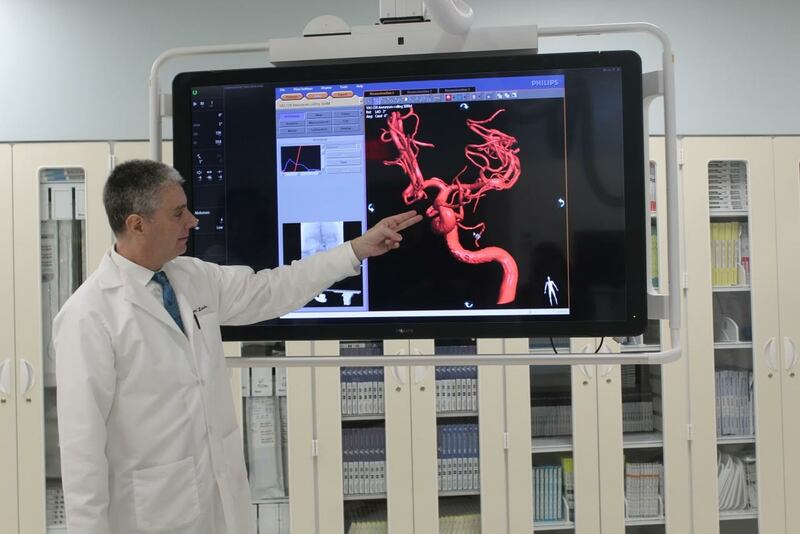 Good Samaritan Hospital, a member of the Westchester Medical Center Health Network (WMCHealth), has announced the launch of a new 3D imaging platform, enabling a major step forward in image-guided therapy. Good Samaritan Hospital is the only hospital in the region with this game-changing equipment. The imaging technology evaluates every artery and vein to identify blockages more precisely, allowing physicians to clear the blockages and remove plaque. * This new equipment benefits patients because itutilizes the lowest dose x-ray possible, thereby leading to better outcomes. “This state-of-the-art equipment and cutting-edge technology ensures that our patients will receive the highest level of care close to home,” said Mary Leahy, MD, CEO of Bon Secours Charity Health System, a member of the Westchester Medical Center Health Network (WMCHealth). Scott Luchs, MD, Director of Radiology, Good Samaritan Hospital, shows the 3D image that he can view on the monitor. At the Good Samaritan Hospital Department of Radiology, in addition to this most recent technology, a full range of diagnostic imaging studies and procedures are performed and stored on state-of-the-art digital equipment by a team of highly-skilled radiologists, technologists and staff. Imaging studies include CTs, MRIs, Ultrasounds, Vascular and Women’s Imaging. This advanced equipment is the first major innovation resulting from Bon Secours Charity Health System’s long-term strategic partnership with Philips, the leader in healthcare technology, which was announced a year ago.